The Duke and Duchess of Cambridge and Prince Harry join Heads Together to make the 2017 London Marathon the Mental Health Marathon. The day started with Their Royal Highnesses, who are Patrons of Heads Together, attending a pre-race reception to meet some of the 700 #TeamHeadsTogether runners and to wish them good luck for the 26.2 miles ahead. Prince Harry gave out a number of good luck hugs, including one for Bryony Gordon, who earlier in the week released a podcast with Prince Harry where they discussed the importance of mental health. Their Royal Highnesses then officially started the 2017 London Marathon elite men's and 'Mass' race. 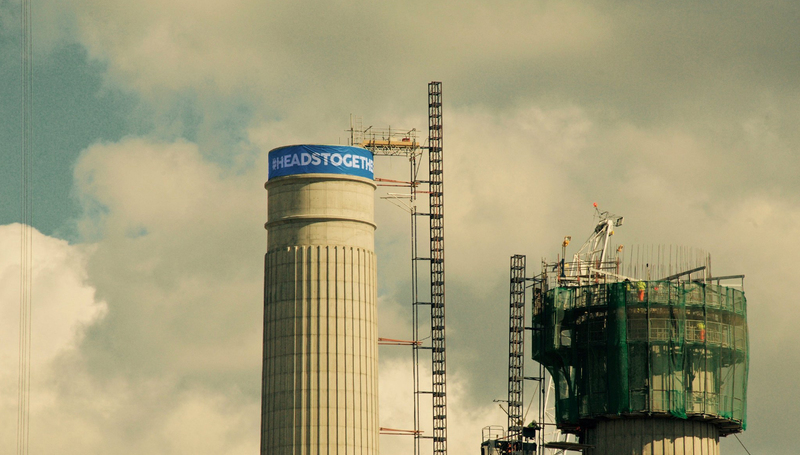 Each of the 39,000 marathon runners were given a Heads Together headband to wear with their own charity vest to help make the 2017 marathon the 'Mental Health Marathon'. Once the race got underway Their Royal Highnesses travelled to the Heads Together cheering point at Cutty Sark to support the #TeamHeadsTogether runners. In the shadow of Buckingham Palace, Prince Harry, who is Patron of the London Marathon Charitable Foundation, awarded the medals to the top three wheelchair, IPC and elite men and women. Prince Harry congratulates @LondonMarathon 2017 winners, Daniel Wanjiru and Mary Keitany. The Prince, who is Patron of the London Marathon Charitable Trust, presented the runners, both from Kenya, with their gold medals in the Men and Women's Elite races on The Mall, in front of Buckingham Palace. 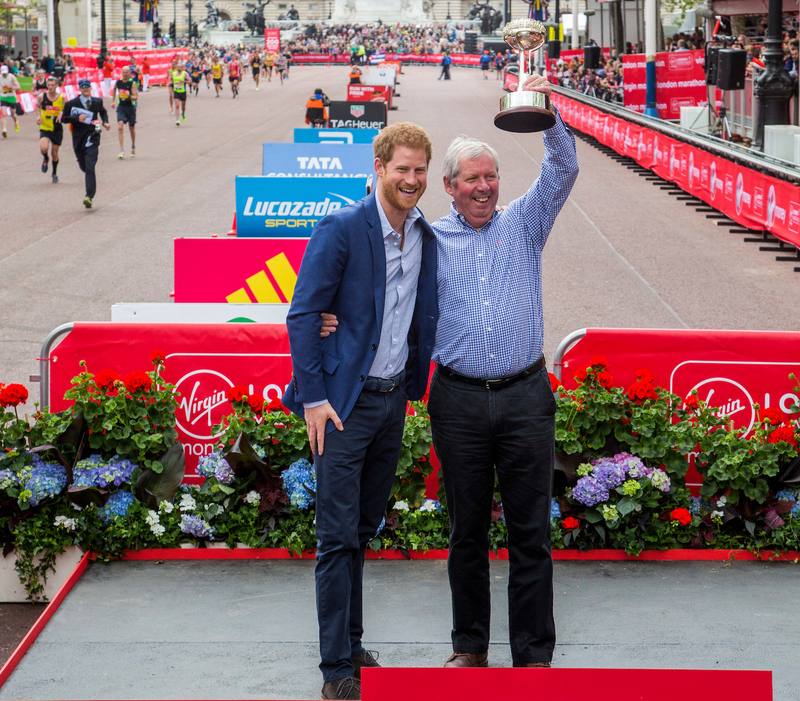 A lifetime achievement award was also presented to Brendan Foster - the British Olympic long distance runner who founded The Great North Run. Meanwhile, The Duke and Duchess had the opportunity to meet and thank a number of London Marathon Volunteers, whose valuable support allows the marathon to go ahead. At mile 22 Their Royal Highnesses surprised the runners by handing out water and giving some well needed encouragement as the runners approach the end of the course. The Duke and Duchess and Prince Harry then travelled to the finish line to award medals to a number of the amateur runners and congratulate them on their achievement. Congratulations to all the runners of 2017 London Marathon who helped make it the ‘Mental Health Marathon’.